Diesels had been the technology of choice for those looking for a bit of eco to go with their corner carving fun. These days? Only Jaguar and BMW still offer diesel engines in their North American lineups. Mercedes-Benz used to offer quite a few appealing diesel options, but now, if you’re looking for an eco-friendly option from the three pointed star, you’re limited to two models which are, ironically, SUVs: the mid-sized GLE 550e and the compact GLC 350e. What are they? They’re plug-in hybrid vehicles, meaning they work as conventional hybrids but can be plugged in to gain more pure electric range. Mercedes-Benz sent their smallest offering with the new tech for me to try for a week. 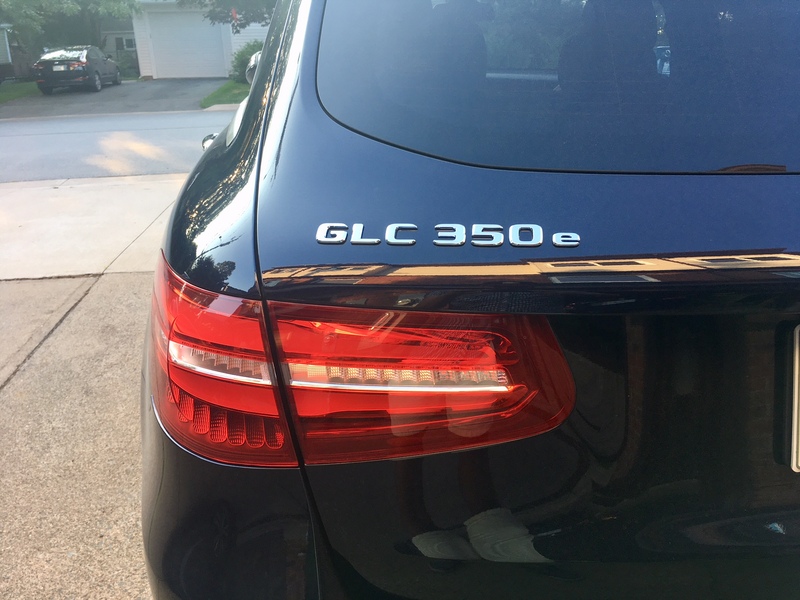 Visually there is virtually nothing that differentiates the GLC 350e from its gas-only siblings, aside from the small ‘e’ symbol in the badge. 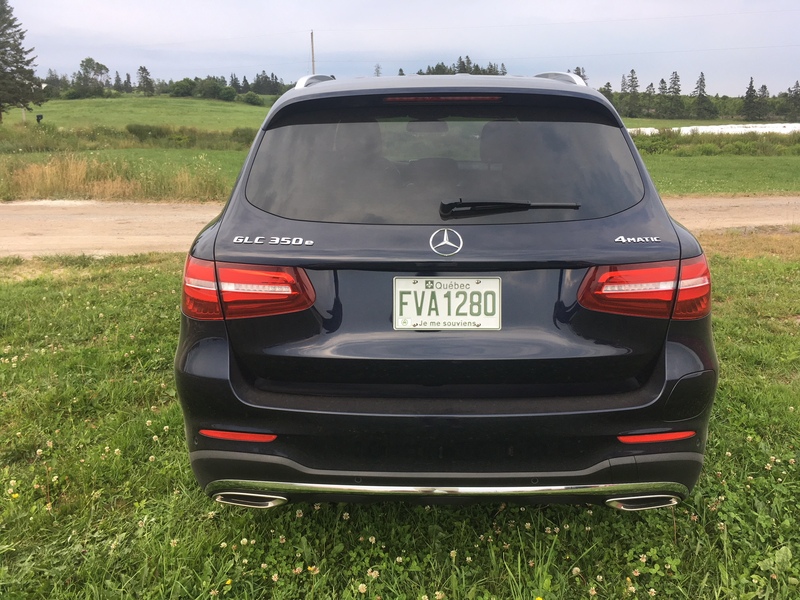 My tester came from Quebec, where the GLC 350e qualifies as a ‘green vehicle’ and thus is subject to heavy subsidies from the government. 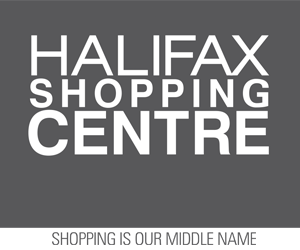 It also gets its own unique licence plate because of it. Indeed, that is the only true giveaway that you’re driving with Mother Nature in mind. Many people spotted the plates and came up to ask what exactly was so ‘green’ about this Mercedes. They would have thought it was an ordinary Benz, otherwise. 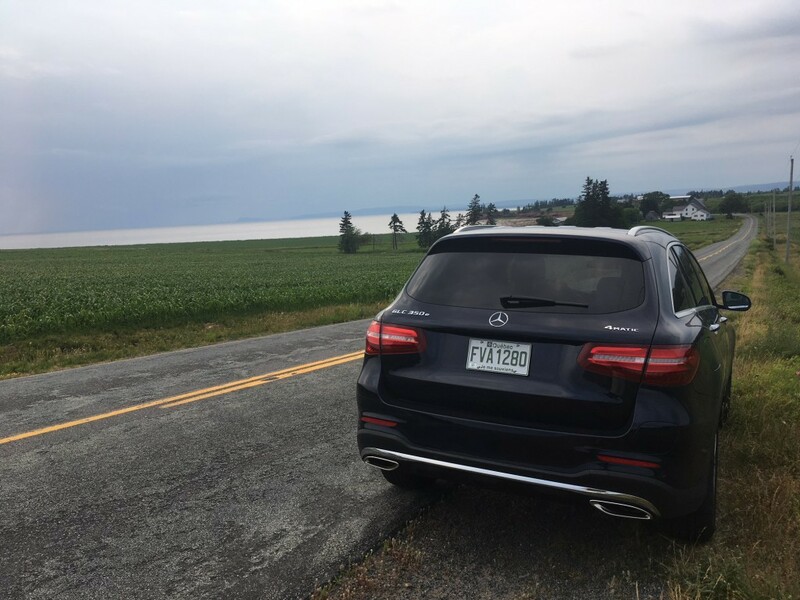 So if you’re into saving gas, the environment or both but don’t want to advertise it too much, the GLC 350e makes a decent case for itself (assuming you don’t have the free advertising from the government of Quebec). The porthole for the electric charger is even well hidden. Most people I asked were unable to spot it. Look closely, and you’ll see it nestled away on the passenger side rear bumper. It’s camouflaged decently, but its placement really only works if you back into your charge station. There were a couple of times I had pulled into my driveway front first and had to awkwardly stretch the cord to reach the rear of the vehicle. 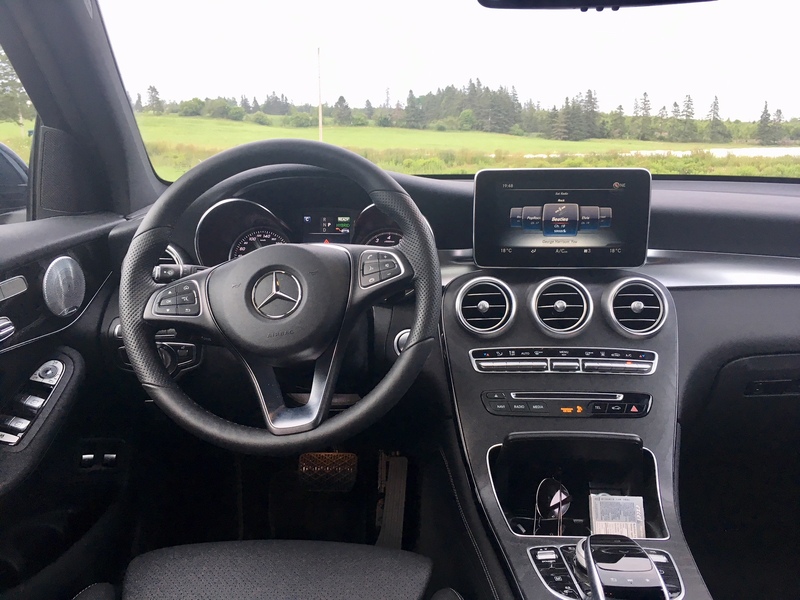 Inside, you’ll find typical Mercedes-Benz design and appointments including open pore wood trim and the perforated aluminum speaker covers, which caught the eye of almost everyone who sat in it. The only thing that gives away its eco-mindedness is the various different drive modes, which I’ll get to momentarily. The seats are oddly firm for a Benz, but still provide an acceptable level of comfort thanks to seemingly unlimited amounts of adjustability. 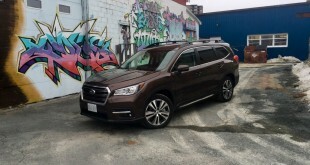 Rear head and leg room are adequate for most, including cargo room, though the battery does raise the trunk floor, reducing cargo capacity slightly. The infotainment system is easy enough to use and is controlled by a dial between the seats, or a pad which allows you to swipe through menu items. I found the dial to be much more accurate than the pad, though both were easy to get used to. The screen itself is easy to read, but I still cannot get on board with the tacked on afterthought placement of the screen itself. 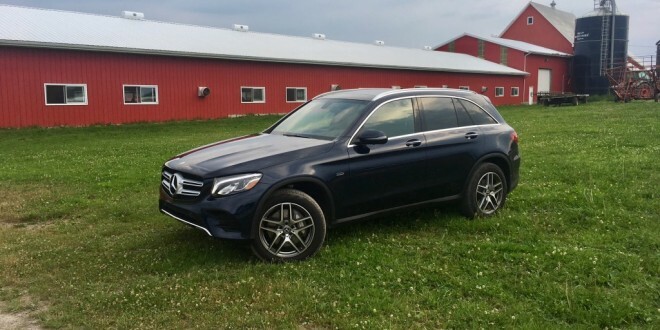 The GLC 350e is powered by a 2.0 litre 4-cylinder – the same found in the C-class sedan, though this engine has been detuned to 208 horsepower and 258 pound feet of torque. 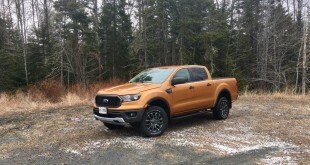 Add in the power from the 85 kW electric motor and total output comes to 315 horsepower and 413 pound feet of torque mated to a seven-speed automatic. The battery allows for about 24 kms of pure electric power – at least, that’s all I could muster from it after leaving it charged (albeit from a regular 120 volt power outlet) for 16 hours at home. This was a bit disappointing as I have driven other plug-in vehicles that offer much better range. 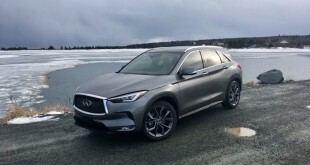 Still, 24 kms is a decent gas savings, though depending on how you get your power and how much you are charged for it, the benefits of charging up the GLC may vary. 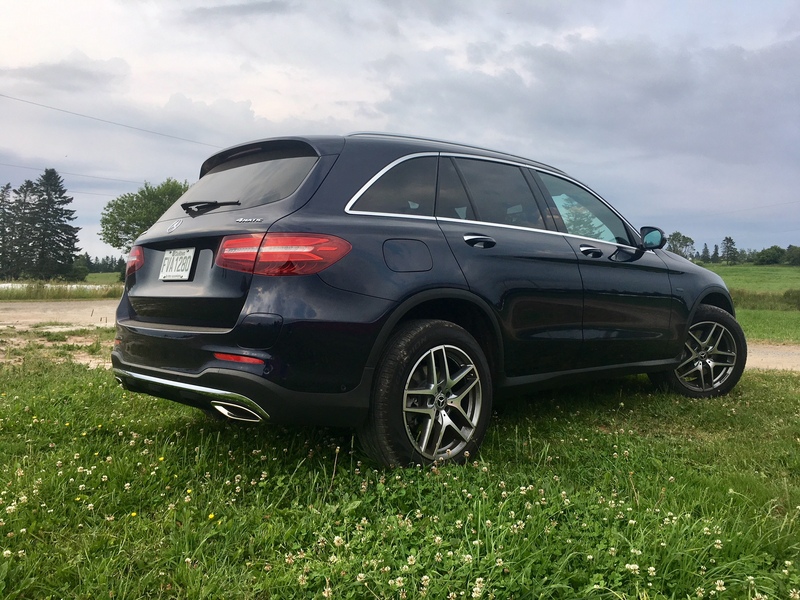 The GLC 350e feels like a heavy vehicle no matter what the circumstance whether it be charging your way onto to the highway or tossing it into a corner. The weight of the battery can definitely be felt, though the weight doesn’t make it seem overly sloppy. Cornering still isn’t bad, in fact, it’s unexpectedly decent considering. 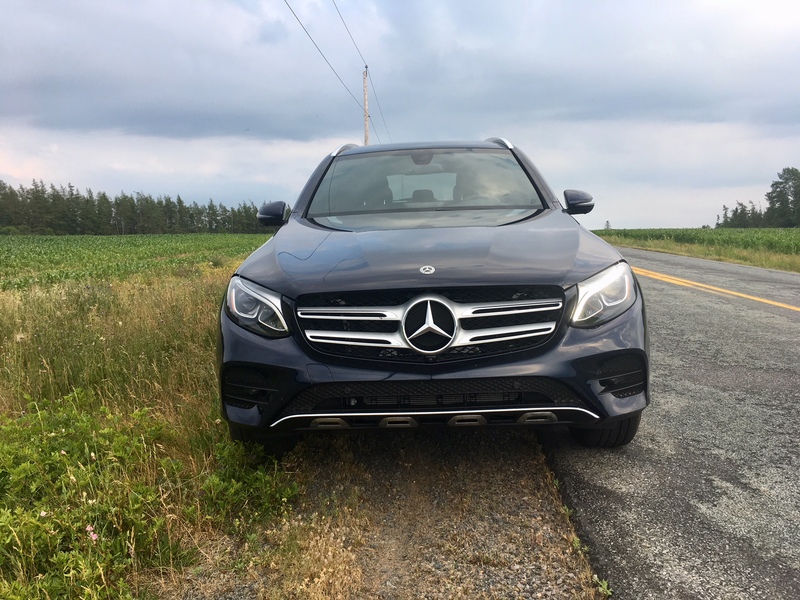 When accelerating, the oodles of torque takes care of any concerns regarding its weight, but despite having much more power on tap than the regular GLC 300, the GLC 350e is only half a second quicker to 100 km/h (comes in at 5.9 seconds according to Mercedes-Benz Canada). Even though it corners and accelerates unexpectedly well, there was something still a little off-putting about its drive, thanks to the battery. 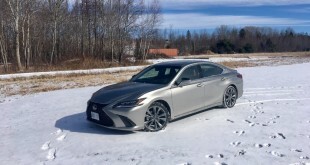 I’ve driven plenty of hybrids and plug-in hybrids and not once have I gotten the sensation in them that the vehicle was trying really hard to be something it’s not. Not so with the GLC 350e, where every corner and bolt in acceleration made it seem as if it could achieve it, but had something to hide: the big battery and the weight associated with it. In the different drive modes you can select regular hybrid mode, e-power mode, and a mode that allows you to charge the battery by using the gas engine’s power. To add to that, it still has regular drive modes such as eco, comfort, sport and sport+. This can make each drive a bit of an overwhelming experience; which combination is best for the drive ahead? For the most part, I left it in comfort mode and hybrid mode (once the battery had depleted all pure electric power) and that seemed to be the best for ordinary driving. 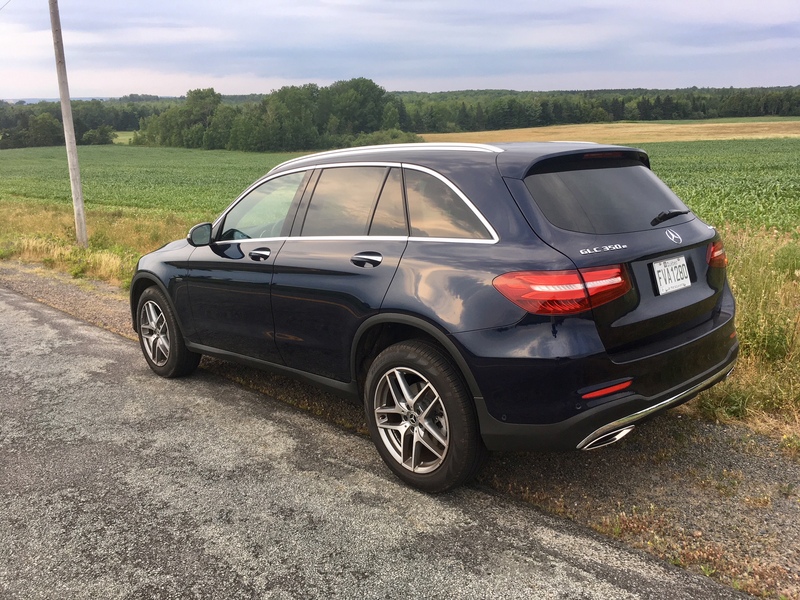 Sport+ was great for power and pure speed but at that point you’re almost completely negating any frugalness from purchasing the GLC 350e in the first place. Official fuel consumption numbers come in at 9.8 L/100 kms city and 8.6 highway. After driving 640 kms for the week with 247 of those kms being pure EV mode, I was able to return a decent 7.9 L/100 kms. That’s pretty good considering the size and weight of this thing. The operation between electric mode and when the gas engine kicks in is fairly seamless, in fact it’s barely noticeable. Though the same cannot be said when accelerating from a stop. It will run on full electric mode to get itself going but once the gas engine is needed in chimes in with all the grace of an elephant in a china chop. But speaking of elephants, let’s talk about the big one in the room and that’s pricing. 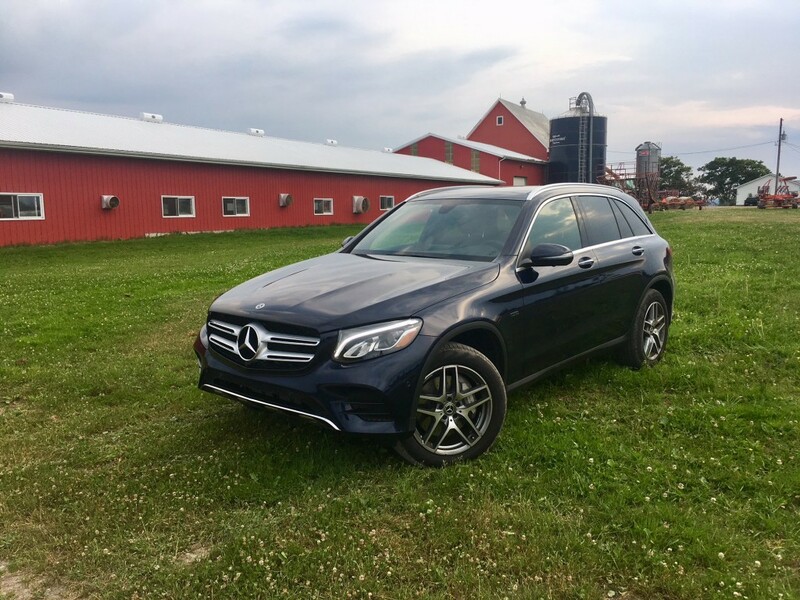 While the base price of just under $60,000 isn’t necessarily eye-popping for a product wearing the Mercedes emblem, but when optioned out to the way my tester was equipped you’re looking at a $71,000 bill before taxes and destination/dealer fees. That’s ludicrous for what you get. Sure, the tech is nice and being able to save gas here and there is also nice, but I can think of a lot of worthy vehicles in the price range, not least of which is within the Mercedes line-up itself in the form of various AMG models. 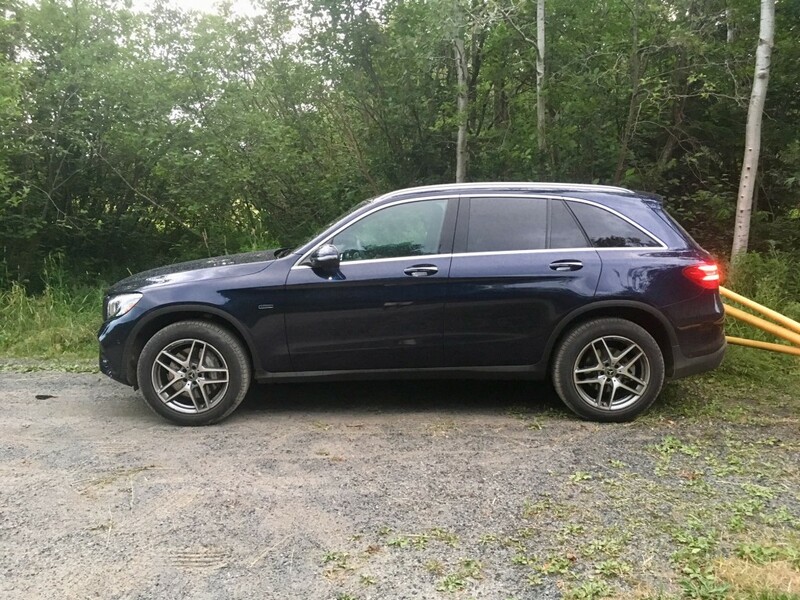 But if you are less interested in brutish power and handling abilities of the AMG clan and are indeed more interested in saving gas and the environment, why not just get the regular GLC 300? It starts way cheaper, has more than adequate power and is able to do – rather simplistically – 7.5 L/100 kms combined. 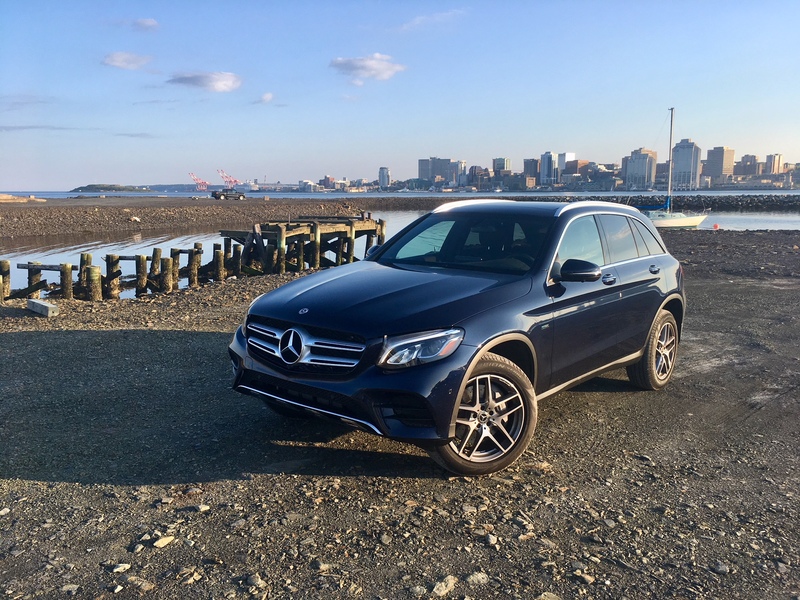 The GLC 350e is an impressive vehicle that showcases what can be done when efficiency meets performance, but as per usual, there is a cost to pay. 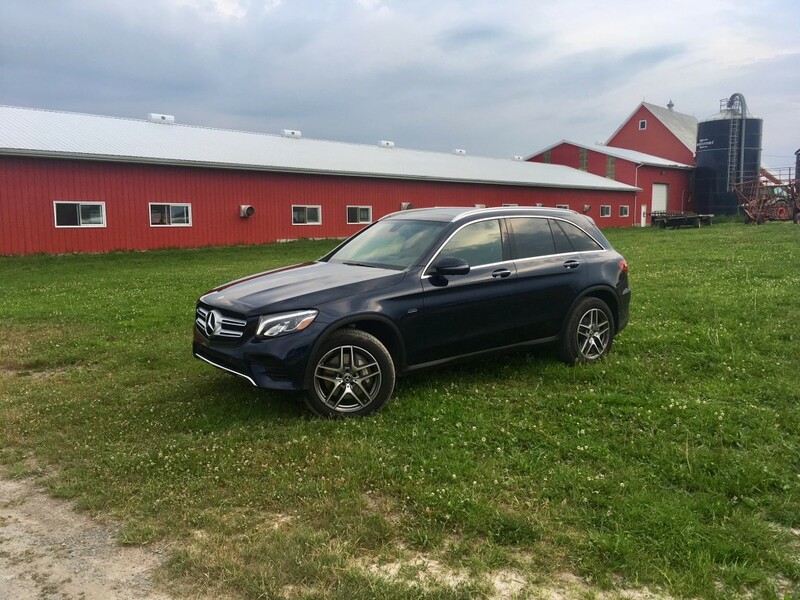 For me, the smart money is on the tried and true GLC 300. They Got Two Car Hoppers Last Night! #Millwood Items Recovered.